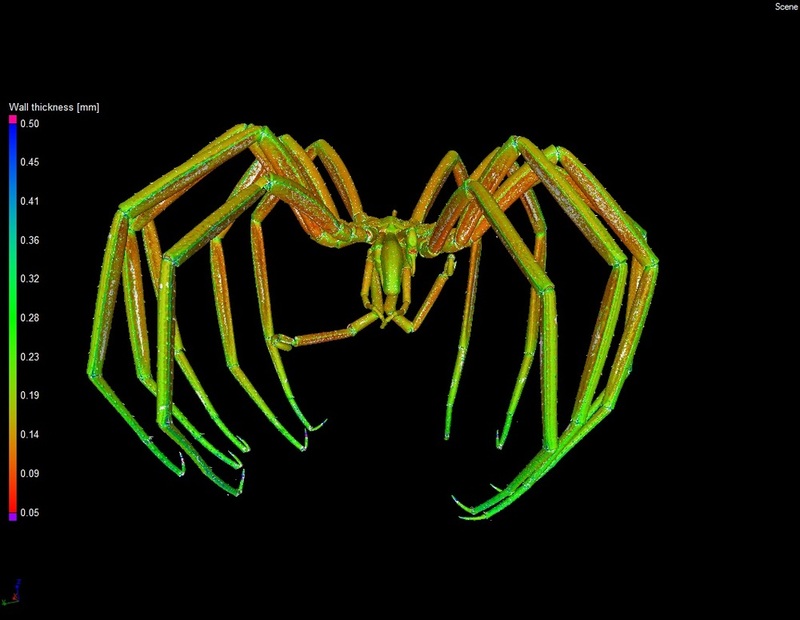 Using micro-Computed Technology (µCT), we took detailed x-ray images of sea spiders from the Smithsonian Natural History museum. 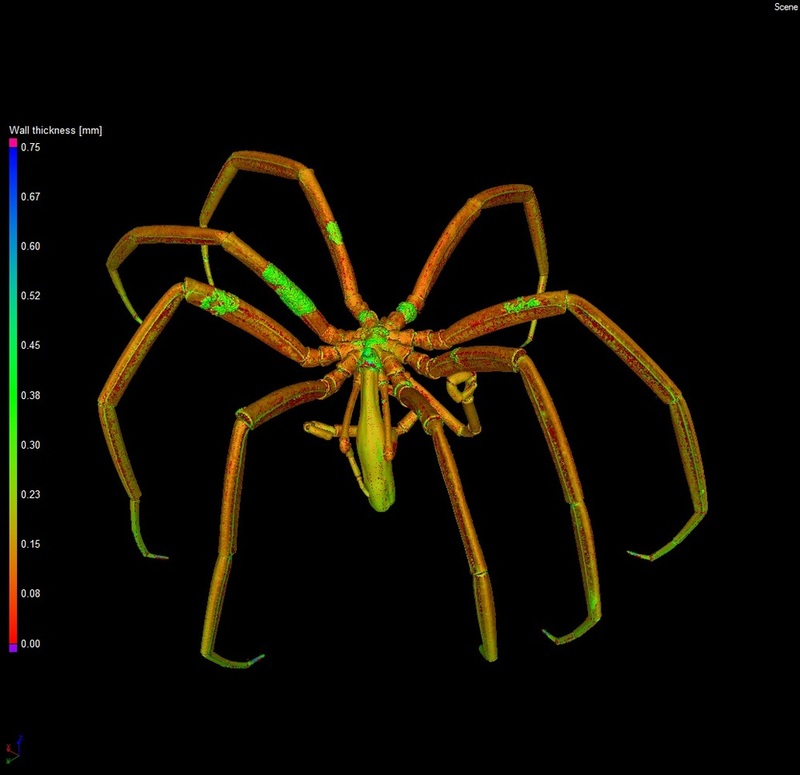 These images allow us to reconstruct 3D models that can be used for modelling the effects of water flow on sea spiders, movement of oxygen across their cuticle, and other important factors. 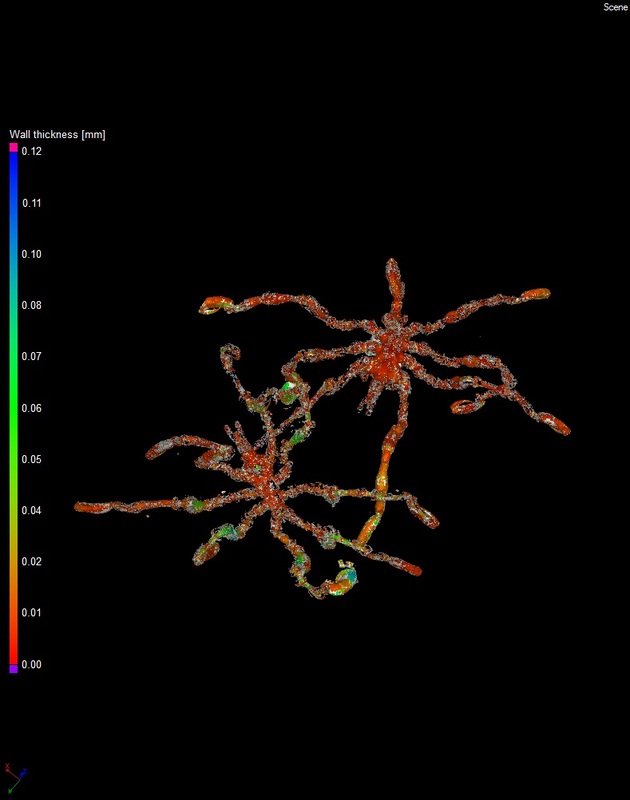 The images above are of sea spiders that have been reconstructed after µCT scans. The color gradient (on the left hand side of each image) indicates cuticle thickness and the scale varies with each image. For example, the sea spider in the middle has thinner cuticle over most of its legs (orange color) but thicker cuticle at the tips (green). It also has some green splotches. These areas are thick because there are bryozoans growing on the surface of the cuticle.